Should the racism in Birth of a Nation disqualify it from being considered as great art ? While it is facile to say that all taste is subjective, it is also an accurate statement. Taste is determined by the audience’s individual background – by his or her education, cultural capital, personal preferences or individual ideologies. Lasting narratives about film histories are constructed by this process, and they have been largely driven by those considered to have a lot of cultural capital – as reflected in the preferences expressed by the 1950s and 1960s Cahiers du Cinéma writers, and for the likes of Hitchcock, Welles, and Renoir. Or later, by the championing of Dreyer, Ozu and Tarkovsky by film writers/directors like Paul Schrader, Martin Scorsese and David Bordwell. 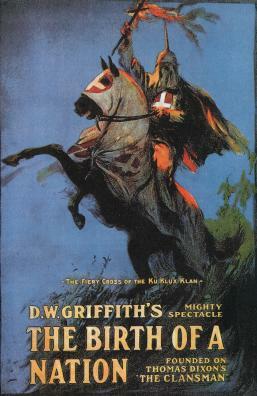 One of the lasting narratives in film criticism is the importance held to be due to D. W. Griffith ‘s 1915 epic Birth of a Nation in the development of film techniques. The film first put into practice experiments about grand narratives, moving cameras, and cross-cutting between two scenes, a technique Griffith used extensively to build tension. The film was the first huge box office success in the United States, and it has been estimated to have amassed the modern equivalent of $200 million. It is even considered as having laid the foundation for Hollywood itself – given that Griffith shifted his film production to the then sleepy town of Los Angeles.. However, the film is deeply racist. And not in any subtle way, either. The film is all about the antebellum and post-American Civil War South, and the film shows the Reconstruction South collapsing under the weight of newfound rights for “blacks”. Parliament in the South, according to the film, became excuses for black politicians to get drunk and sit shoeless, while the poor whites cower in the background. Black rapists and mobs stalk the landscape terrorising white womenfolk. Mulattos are shown to be as degenerate – the offspring of white and black are tainted because of their mixed race background. And, the film gains its excitement by showing how all this was defeated : by the glorious rise of the Ku Klux Klan. 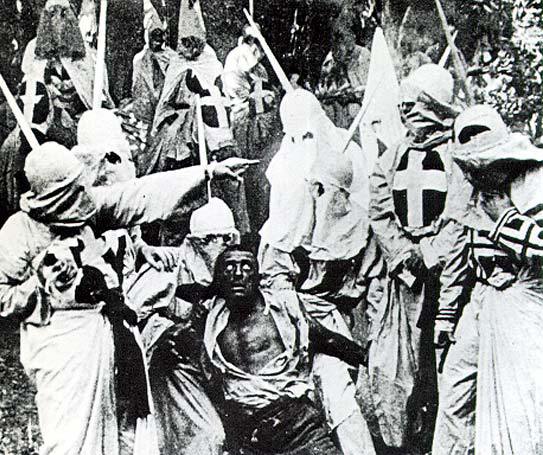 The film’s fêted conclusion involves the Ku Klux Klan arriving in time to clean up the South, and thus saving the newly re-unified nation of the United States. While Wilson subsequently denied ever saying it, the quote became used in the publicity of the film. 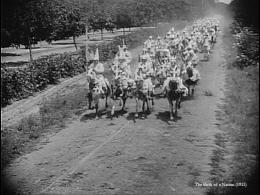 Birth of a Nation was credited as contributing to the second rise of the KKK (which started ‘coincidentally’ in 1915), culminating in an organisation that reportedly had 4-5 million members by the 1920s. The film was also used as a recruitment tool by the organisation until well into the 1970s. It is the technical skill of the film – which was specifically utilised to tell a racist viewpoint – which makes the film so controversial, and lauded at the same time. The power of the techniques come from the terror induced in the audience of watching a white woman almost get raped by the black man while the innocent white man tries to save her; or the excitement from watching the KKK ride heroically to defeat the out of control black mobs. The grand narrative is structured around the failure of Northern carpetbaggers to control the uppity blacks, and the climax highlighted the importance of the Klan in saving the United States. As a result, form and content were inextricably linked. Yet those who have championed the film in recent times have managed to extricate the form from the content. At the very least, by simply acknowledging the racism of the film (usually passing it off as ‘of-the-time’), writers were simultaneously able to laud the film’s mastery. Roger Ebert wrote “The Birth of a Nation is not a bad film because it argues for evil. Like Riefenstahl’s Triumph of the Will it is a great film that argues for evil.” The film’s continuing reputation exists because of its influence for its formal innovations (though to be fair, Griffith had used many of these techniques before, and the Italians were making epics before Birth of a Nation), rather than its devastating political consequences. Moreover, it is arguable whether the film’s viewpoints were “of its time”. The film caused considerable controversy upon its release, and the National Association for the Advancement of Coloured People (NAACP) led mass protests around the country, and riots resulted in the film’s aftermath. Attempts were made to block the film, and subsequent films by “black” artists such as John Noble’s Birth of a Race (1919) and Oscar Micheaux’s Within Our Gates attempted to redress the impact of Birth of a Nation. This leads to the fundamental question: can art be considered worthy if it has ideas that are repugnant to an audience member? Especially one who is sitting nearly a century after the fact. To me, for example, Birth of a Nation is nothing more than hate speech. Griffith pioneered many of his techniques in earlier, less offensive films and the film is flat-out awful. Further, the film’s legacy is remarkably selective – because of its unashamedly offensive ideologies, and its terrible consequences. Revisionist history has tended to downplay Griffith’s role in the racist structure of the film, instead pinning the blame on Dixon and the source novel. However, it would take a remarkably naïve individual to not realise the power of what was done, and crucially Griffith never disavowed the film’s messages. And while an individual’s identity is constantly shifting (e.g. a younger Griffith may be different to an older more ‘enlightened’ Griffth), it’s hard to find any example of regret expressed by the director. But then, my film taste has been constructed by own social background, my cultural capital, and my professed individual ideologies of equality. This also leads to shifting the concept of art criticism – how much could an artist who holds repugnant views to an audience member be criticised by that audience member. Is Ezra Pound’s poetry or John Dos Passos’ earlier writing rendered useless by their Fascist sympathy in later life? Should Louis-Ferdinand Céline and Richard Wagner be similarly reviled for their anti-Semitism? Should Walt Disney’s role be downplayed for his Nazi sympathising, for his role at the forefront of the anti-Communist purges in Hollywood, and for the anti-Semitism clearly evident in films like Snow White and Seven Dwarves? And how far back can the audience go back? Voltaire wrote that “whites” were “superior to these Negroes, as the Negroes are to apes, and the apes to oysters” (especially as other Enlightenment thinkers were openly anti-slavery). Does that taint his work? Is Shakespeare to be castigated for his anti-Semitism in The Merchant of Venice? This also suggests that art can only be good if it conforms to the individual’s own political viewpoint. If that is the criterion, then Dumb and Dumber should be considered by me as a masterpiece for its good-natured critique of the American Dream, or Mamma Mia! considered worthy for its social inclusiveness. (Though personally I’d argue for both those films). Birth of a Nation highlights the artificial nature of trying to separate out form and content – arguably, a process that has been expediently used to justify the film’s inclusion in the pantheon of “great” movies. But it also questions the role of the audience in interpreting a text and how much one’s social background affects the continuing legacy of art. The film’s continued reputation questions the way film histories are constructed in this post-structuralist, post-modern world of opinions being considered purely subjective, and of not existing in any sort of hierarchical order. The troubling thing about Birth of a Nation’s legacy is these questions aren’t easily answered – instead, all that’s left is that my individual opinion of the film’s lack of merit simply being one way of reading the text.